What story does your smile tell? David E. Willey, DMD, PL Blog What story does your smile tell? Every smile tells a story! If you are not happy with the story your smile tells, then it is time to consider a smile make-over. Cosmetic dentistry offers a variety of options to improve the appearance of your teeth and smile. 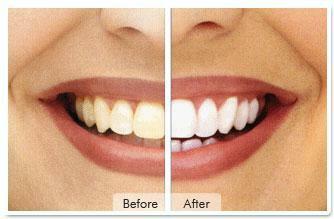 Sometimes a simple whitening procedure can dramatically change dull, dark teeth to a brighter more youthful appearance. Broken teeth, worn edges, and stained, old fillings and crowns can keep you from feeling confident about your smile. In these cases, cosmetic dentistry can restore years of wear and tear to your teeth. Whitening procedures are most economical cosmetic dentistry treatment. Our practice can evaluate your smile to determine if a whitening procedure will benefit to you. Existing dental fillings and crowns can compromise the success of whitening. Our practice offers tray whitening and laser whitening procedures. Tray whitening involves wearing custom bleaching trays at home for one week to brighten teeth. Impressions are taken in our office to fabricate bleaching trays and the optimum bleaching solution is prescribed based on a number of factors. Laser whitening provides immediate brighter teeth in about one hour in our office. The results of both types of whitening are maintained with touch-up trays used approximately once a month. Cosmetic dentistry can dramatically change the appearance of your teeth and smile. Old worn teeth can be revitalized with ceramic veneers and crowns. The appearance of the surrounding gum tissue also can be altered with a laser to make teeth look more natural. The number of teeth treated to improve a smile varies with each person. Smile make-overs utilize cutting-edge technology to make a smile look years younger. Ceramic veneers can improve your smile with thin ceramic facings bonded to the front of your teeth. Veneers allow us to conserve tooth structure to keep your teeth strong. Existing crowns can now be updated with more natural all-ceramic crowns. Sometimes simply replacing an old crown is all that is necessary to improve your smile. Dr. Willey has trained extensively in cosmetic dentistry in the United States and Brazil. He has also lectured on cosmetic dentistry to his colleagues for the Florida Dental Association. Dr.Willey utilizes the latest up-to-date materials and procedures to change smiles. A thorough cosmetic consultation can determine which procedure will improve the appearance of your smile. You are never too old to have cosmetic procedures to brighten your smile. Our practice offers a complimentary cosmetic consultation to discuss your options to allow you to smile with confidence and feel younger! Most people don't associate Botox® with the dentist. But Botox injections can treat more than just fine lines and wrinkles. Learn how Dr. Willey uses Botox to resolve dental problems and their symptoms. Do you have chips or gaps in your teeth? What about crooked teeth? Veneers can fix these flaws quickly. If you want great looking teeth without the hassle of braces, veneers just may be the solution for you. Considering dental implants for their convenience and nearly natural appearance? Great choice. But did you know replacing missing teeth with dental implants may also be your best option for keeping your gums and jaw healthy? Many people gladly embrace any technology that makes their trip to the dentist fast and painless. Lasers expand our treatment options, making us able to perform some procedures without the dreaded needle and with no drill grinding against your teeth.